﻿ Is Michael Dunlop your 2017 MCN Man of the Year? Michael Dunlop added yet another Isle of Man TT win to his impressive tally in 2017, taking his fifteenth race victory in the blue riband Senior TT race at this year’s event – and even more impressively, doing it on a brand-new Suzuki GSX-R1000 machine barely out of the box. 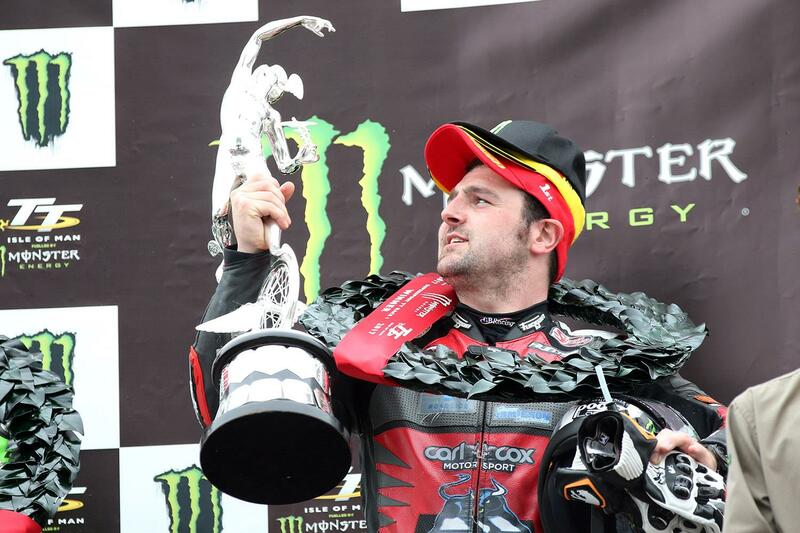 Doing what he first did back in 2014 with BMW machinery, Dunlop and his close-knit Hawk Racing team took the new machine from brand new bike in February to TT winner only months later, testament as much to Dunlop’s ability to get the best out of any machine as it is to the Hawk squad’s ability to develop the machinery. And while he was able to back up his Senior TT win with another victory in the Supersport TT, he was denied the chance of an even better year thanks to mechanical problems on the GSX-R1000 in the Superbike TT (while he was in the lead, no less) and losing out the chance for a Supersport double after rain saw the second running of the class cancelled thanks to weather.